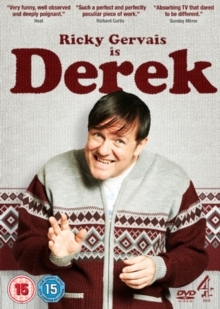 All episodes from the first series of the comedy drama written by and starring Ricky Gervais. Middle-aged Derek Noakes (Gervais) is a kind-hearted care worker who frequently goes above and beyond the line of duty for the elderly people he looks after. However, he is often shunned by society due to his appearance and poor social skills. The other members of staff at the Broad Hill nursing home are Hannah (Kerry Godliman) and Dougie (Karl Pilkington).